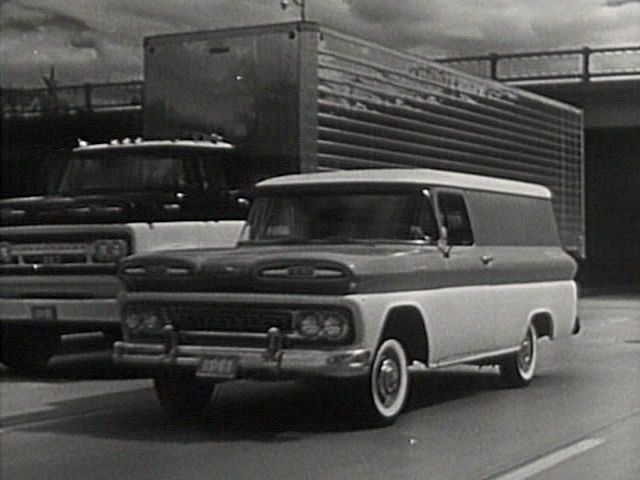 IMCDb.org: 1961 Chevrolet C-10 Apache Panel [C1405] in "Route 66, 1960-1964"
Chevrolet Panel Truck; Chevrolet Panel Van and Chevrolet Panel Delivery. Are all these three the same? Are we speaking about the same model or are they differents due their services? Can we agree 1 or 2 model name for all these? It really depends on the evolution of the model years and how they call it. Some called it Delivery Truck. Remember the wording came from the trends that was called something long before the van and minivan came to the market. As this example, it belongs to the truck categories as they called it.